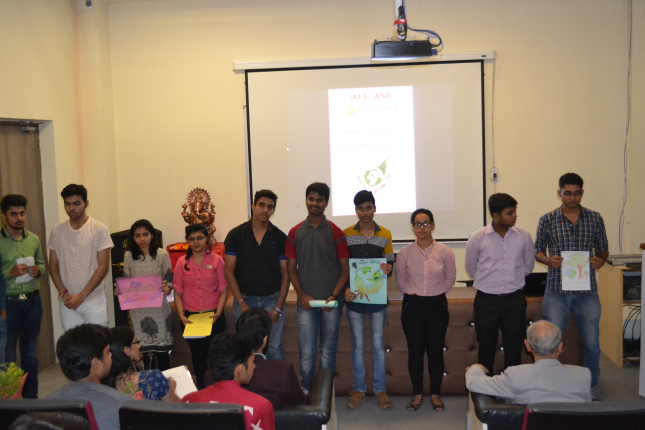 Asian Education Group organized “Prakriti- the Environment Club Activity” for the BBA students on 31st August, 2016. The objective of this activity was to raise awareness and understanding the environment issues, instilling the sense of responsibility for environment and personal commitment. The event was graced by Mr. Maroof Ahmad, HOD- Academics, ASB and judged by Ms. Veenu Arora. The winner of this activity was Muneefa’s group and they performed an act on “Cool The Earth”. The event organizers were Mr. Anil Verma, Mr. Nikhil Garg and Ms. Anam Afaq.